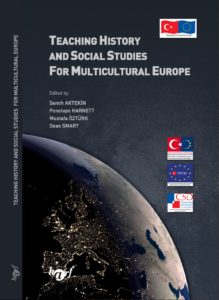 In this project, substantive research (both theoretical and empirical) will be carried out concerning the issue with history and social studies teachers and trainee teachers. These researches will focus on the challenges and opportunities of including multicultural issues into history and social studies teaching for both university and school level. In-service training will be given by local and international experts on different aspects of history and social studies particularly on multicultural issues. In order to assist the present teacher trainers and university lecturers the project will produce European standard guidelines for initial and in-service training modules and develop teacher resource materials. Partner university members will participate in international events and meet international experts. An edited book will be published focusing on the issue. 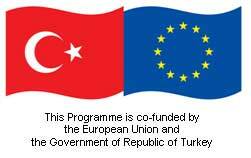 The project will organise one international seminar for teacher training and development with a focus on multicultural issues especially in the context of Turkey and EU relationships. The project will be finalized with a national convention on history and social studies education with all participants. Erciyes University, KTU and UWE are partner institutions that will participate in and carry out planned activities. The project’s key people in each institution are experts in social studies and history education and have met on several international conferences and seminars on history education since 2002. The booklets and results of the project will be disseminated through national and international media as well as the project’s website. The project’s web site is planned to be a portal which will continue providing materials, information and guidelines to interested parties after the project. Some materials will also be published at EUROCLIO’s website and bulletin. The educational materials will be used during pre- and in-service training of history and social studies teachers in Trabzon and Kayseri. The (text) book that is to be written through the project will fill in an important knowledge gap regarding the issues that will be dealt with through the project in Turkey and the EU. Assist to improve history and social studies teacher education programmes for multicultural Europe in the context of the issues related to Turkey and EU relationships and exchange experiences in this field. Implementation of innovative school history and social studies approaches through pre- and in-service teacher training. Implementation of innovative educational materials for social knowledge and history education departments. Strengthening national and international cooperation, communication and networking on the training of history and social knowledge teachers in Turkey and the UK. 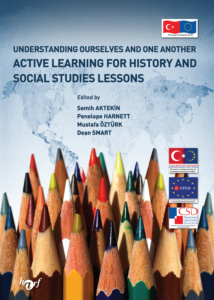 Enhancing European awareness and dimension in history and social studies teaching in Turkey. Raising awareness of European institutions and policies in trainee teachers and teachers.